Glen E. Tucker is a partner in the firm. His practice includes counseling, advising, and training various police departments and their officials on such varying subjects as police policy development, police policy field application, and departmental training of officers and police administrators in litigation avoidance and police defense strategies. He is an experienced litigator of such issues as excessive force, false arrest or imprisonment, federal civil rights litigation, and police search and seizure issues. 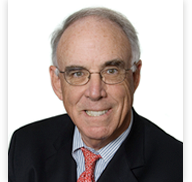 Mr. Tucker is a 1966 graduate of Loyola Marymount University and has served on the Loyola Marymount alumni board. He received his J.D. from Southwestern University of Law School in 1972 and is admitted to practice before the California Supreme Court, the United States District Courts, the Ninth Circuit Court of Appeals, and the United States Supreme Court. Mr. Tucker began his legal career working on personal injury and medical malpractice defense cases, occasionally representing cities. During this period, he argued the California Supreme Court case of Davidson v. City of Westminster (1982) 32 Cal. 3d 197, in which the High Court defined the issue of “duty” in a negligence context as well as the extent and effect of various statutory and common law tort immunities. In 1981, Mr. Tucker joined the firm of Clausen, Harris and Campbell in Los Angeles. Since then, Mr. Tucker’s primary practice area focus has been on the defense of public entities, particularly police officers and their departments, in civil rights litigation. Since 1981, Mr. Tucker has served as special litigation counsel for the City of Palm Springs Risk Management Department, litigating police cases and general liability matters. Mr. Tucker’s practice includes the composition of police policy manuals and the analysis of existing manuals for his client police departments. This function is then illustrated and presented in roll-call sessions with police officers and police administrators. Mr. Tucker handles cases as a board-approved litigation counsel for the California Joint Powers Insurance Authority (CJPIA) and Public Entity Risk Management Authority (PERMA). He has represented the cities of Inglewood, Signal Hill, Lawndale, Banning, Palm Springs, Long Beach, Newport Beach, Fountain Valley, Bell Gardens, and Inglewood School District. Mr. Tucker was trial and appellate counsel on the case of Craig Teter v. City of Newport Beach, (2003) 30 Cal. 4th 446. In that case the California Supreme Court clarified that a person arrested for public intoxication is a prisoner for the purpose of Government Code Immunities and that there is no liability for damages sustained by a prisoner as a consequence of conditions that are common to all inmates and represent reasonable application of policy determinations by jail or prison authorities. Mr. Tucker holds a California Secondary Life Teaching Credential. He has been an instructor in law at El Camino Community College. He has lectured extensively in the areas of Risk Management and Excessive Force in search and seizure issues. He is a P.O.S.T. certified instructor in those areas. He is also on the faculty of Lorman Education Services lecturing on Police Risk Management issues.